Atom is a text editor that’s modern, approachable, yet hackable to the core—a tool you can customize to do anything but also use productively without ever touching a config file. Atom resembles a lot like Sublime Text editor, a hugely popular cross platform but closed source text editor which is preferred by programmers. To know more about Atom you can read Atom official website. Few of useful features are given below. Atom offers a nice and easy to use graphical setting manager where you can modify common settings like theme, font size, color highlighting schemes etc. Atom is tightly integrated with Git, so if you are using GIT to host code, you should get lot of help from this text editor regarding your recent changes to code. Atom is highly customizable, you can add packages to extend its functionality, hundreds of packages are available online which can add more feathers to working and look of this editor. 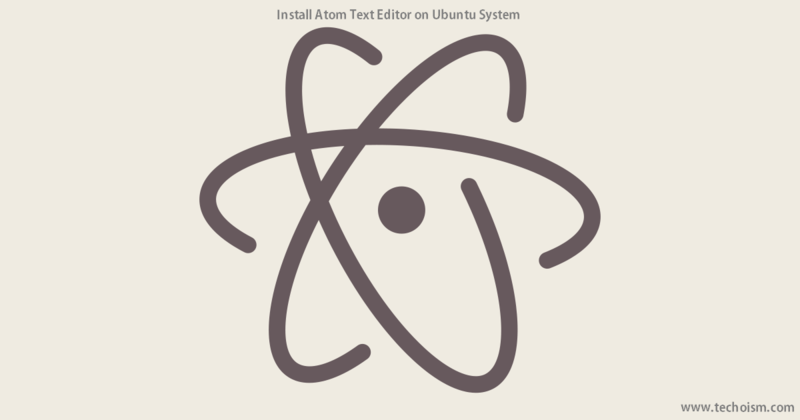 Now download Atom text editor file and install on your system using following commands.